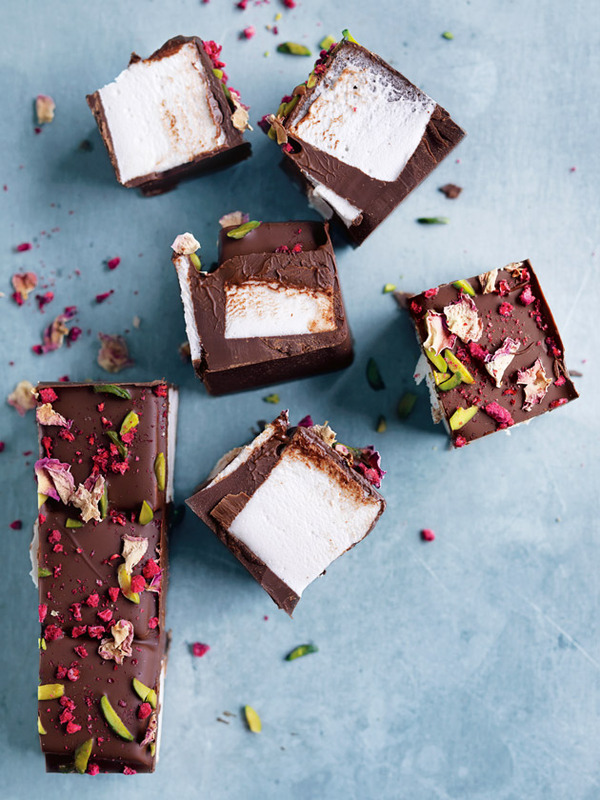 Arrange the marshmallows side-by-side in a lightly greased 20cm x 30cm slice tin lined with non-stick baking paper. Pour over the chocolate and gently tap the tin. Sprinkle with the pistachio, raspberry and rose petals. Refrigerate for 30 minutes or until set. Cut into bars to serve. Makes 28. + Find freeze-dried raspberries in gourmet food stores. ++ Find dried rose petals in selected delis and cake decorating stores. Note: You can store rocky road in a cool, dark place for up to one week.